We’ve found great deals at 1225 hotels! 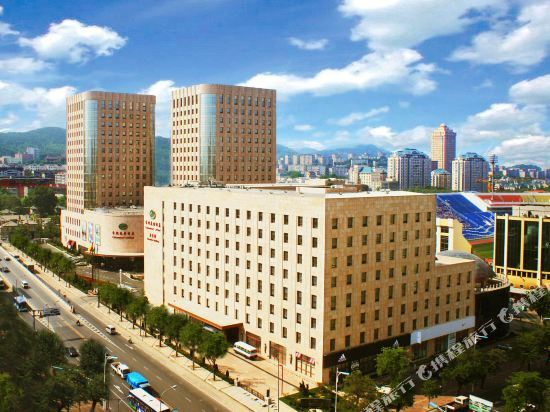 <br/>Opened in 2007, Dalian's Sweetland Hotel (Dalian Xiangzhou Huayuan Jiudian) is conveniently located in downtown Dalian. The Sweetland offers a range of guestrooms including standard rooms, business suites, deluxe suites and presidential suites. All guestrooms are equipped with broadband Internet access and LCD televisions. The hotel's large restaurant serves an impressive range of dishes, including Japanese, Korean, Vietnamese, Thai, Middle Eastern, Russian, French, Italian, Mexican and Argentinean dishes in addition to Hong Kong and Taiwan-style specialties. Four multi-functional halls are equipped with state-of-the-art sound systems and simultaneous interpretation facilities. Other features include KTV and over 20 conference rooms, the largest of which seats up to 2,000 people. Dalian's Bay Shore Hotel (Dalian Xinghai Jiari Jiudian) is conveniently located in Xinghai Square, just 1.5km from the International Exhibition Center, 2km from Software Park and 12km from Dalian Zhoushuizi International Airport. Wi-Fi in public area and parking lot are available. Offering an array of specialties from around the world, the hotel features many on-site restaurants that serve different cuisines including Japanese, Western and Chinese dishes. Modern meeting facilities in the hotel include conference hall and business center offering a variety of services. For recreation, guests can relax in the spa or sauna or boost their energy in the fitness center. 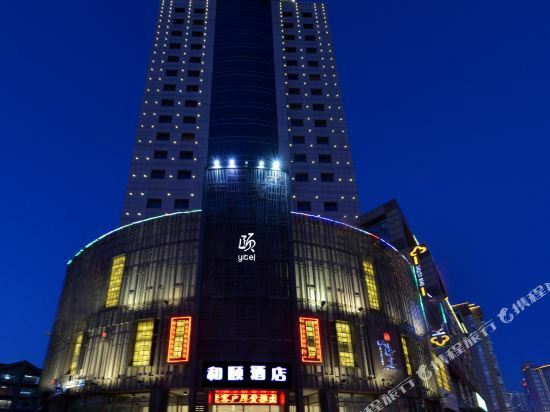 Dalian's Furama Hotel (Fulihua Dajiudian) is a 5-star hotel conveniently located in the center of Dalian's commercial, shopping and entertainment area. It is a 20-minute drive from the airport, and a 5-minute drive from the port. Commercial and shopping streets are within walking distance. The 800-room Furama Hotel is decorated in a modern Japanese style and offers standard and executive rooms and suites, all of which are equipped with satellite TV, central air conditioning, safe deposit boxes, mini-bars and private baths. For recreation, the hotel's Furuma Club offers extensive facilities including an indoor swimming pool, golf simulator, bowling alley, tennis and squash courts, gym, snooker tables, beauty parlor, massage and sauna. There is also an impressive shopping arcade connected to the lobby. The Furama houses a number of meeting rooms and banquet halls and can host large scale events. The business center provides copying, fax, international direct-dial telephone and PC rental services. Dining options include August Moon and Chiu-chow serving Chinese cuisine and Chao Zhou cuisine respectively, the Rose Grill Room serving international buffet and French cuisine, Japanese restaurant Yokahama Kou and Korean restaurant Sorabol and a coffee shop, La Brasserie. After dinner guests don't have to venture far to find entertainment: head to the Windsor Club for a night cap, the Sakura Bar for Japanese whiskey and karaoke and the WIN Club for some disco beats. The Swissotel Dalian (Dalian Ruishi Jiudian) is located in Dalian's commercial and financial centers, near Shengli Square and Laodong Park. It is just a 30-minute drive from Dalian International Airport and five minutes from the main railway station. 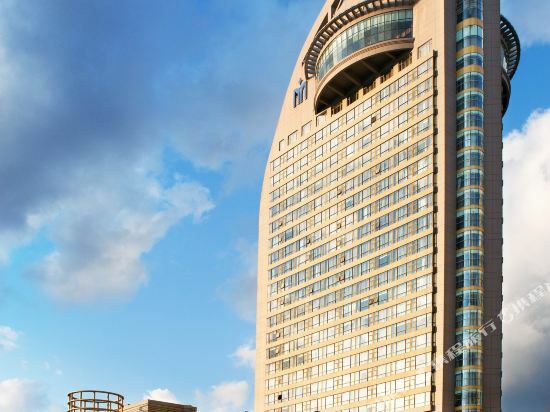 This five-star Dalian hotel offers convenient access to all parts of the city and provides guests with shuttle bus and limousine services to and from the airport. The hotel houses over 300 guestrooms, including 69 executive rooms and 10 suites, as well as approximately 100 serviced apartments and three floors of offices. All rooms are equipped with international direct-dial, air conditioning and heat, voice mail systems, mini-bars, refrigerators, electronic safes, fax and modem connections and coffee and tea self-service. 24-hour room service is also available . The hotel's business facilities are exceptional, providing conference and function rooms with public address systems, first-class lighting equipment, slide projectors, LCD projectors, VCD players, as well as portable stages and dance floors. The Swissotel Dalian also boasts its own business center, offering standard services and facilities for all hotel guests. The fitness center features a 20-meter indoor pool, aerobics room and fully equipped gymnasium with solarium and sauna rooms. Additional facilities include baby sitting, non smoking floors and special-needs facilities. Swissotel's restaurants serve a wide range of cuisines, specializing in Chinese, Japanese, Continental European and Mediterranean dishes. 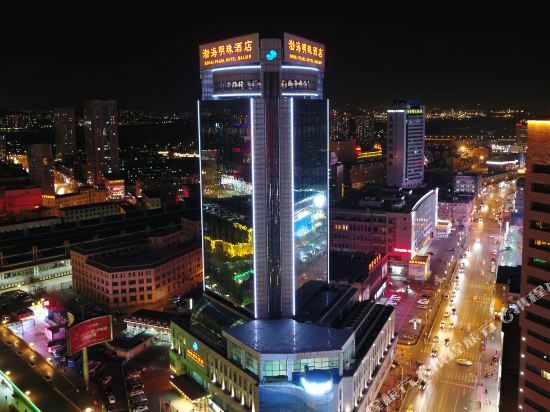 The Hotel Nikko Dalian (Dalian Rihang Jiudian) is located in downtown Dalian, just minutes from the city's major commercial and shopping areas like Zhongshan Square, Tianjin Street and Renmin Road. It is only a 20 minute drive from the Dalian Zhoushuizi International Airport and a 5 minute drive from the Dalian Railway Station. The Dalian hotel houses 372 luxurious rooms and suites and 168 residential apartments. The Executive Floor provides private check-in, personal in-room fax, upgraded room amenities and butler service, and the club lounge offers complimentary breakfast, evening cocktails and free-flow coffee and tea. Recreational facilities include an extensive fitness center, spa, indoor pool and tennis courts. Banquet and conference facilities can accommodate events up to 1000 people and 15 smaller meeting rooms are available, suitable for workshops or smaller meetings. Dining and entertainment outlets include the Red Lotus Chinese Restaurant, Intermezzo (an all-day restaurant serving buffets and a la carte menus), the unique Yokohamakou Asian Grill featuring Japanese and Korean style cuisine and a lobby lounge. Dalian is located at the southernmost tip of the Liaodong Peninsula. It is surrounded by mountains and sea and boasts sunny beaches and great natural scenery. It is famous for its delicious seafood and the lively International Beer Festival. There are beautiful views of the mountains and sea, the geological wonders of Jinshitan, the historical sites of Lushunkou, and the marine parks that children will love. Most of Dalian’s attractions are located in the urban area. Lushunkou District in the southwest of the city also has many attractions worth visiting. Jinzhou District in the northeast of the city has the famous Jinshatan resort area. In addition, there are counties and cities such as Changhai County and Wafangdian City, which are under the jurisdiction of the northeastern part of Dalian. Dalian is the warmest place in the Northeast China. The average annual temperature is around 10°C. The hottest period is in August and the coldest in January. The precipitation is concentrated mainly in summer with heavy rains, most of which occur at night. Dalian is suitable for traveling all year round. The spring is a good season for strawberry picking and cherry blossom viewing. Summer and early autumn are the best time to visit Dalian, especially in July and August when you can go beach combing and fishing, etc. Although winter is Dalian’s off-peak season, ski resorts and hot springs are still quite popular with tourists. There are plenty of hotels in Dalian and you can easily find a hotel in the downtown area. If you have many places to visit during your tour, consider staying in the hotels near the train station. This is the starting point for trains, light rail, city tour buses, and multiple bus routes. Dining and shopping is also very convenient. 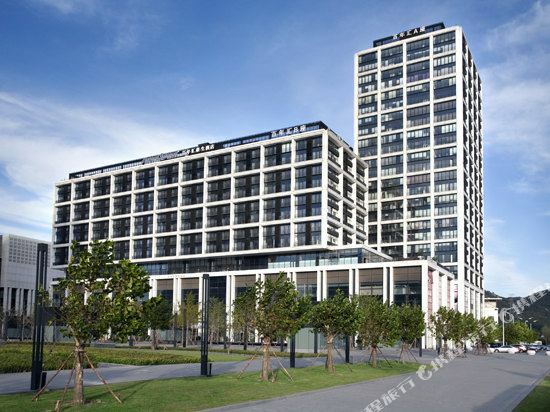 In addition, there are also many express hotels and boutique hotels around Zhongshan Square and Harbor Square. Jinshitan is far away from the urban hustle and bustle. Here you’ll find popular attractions such as the Gold Coast, the Binhai National Geopark and the Discovery Kingdom theme park. There are also many resorts and hotels here but the prices are more expensive. You can also choose budget hotels and family apartments in the town. Lushunkou is a region with a long history. There are cultural attractions such as the Lushun Army Harbour, the former sites of the Japanese-Russian prisons, the Lushun Museum, and natural attractions such as Baiyu Mountain and Laotie Mountain. It is only an hour's drive from downtown Dalian to Lushun and buses are also very convenient. There are many business hotels and cheap hostels and inns in Lushunkou. 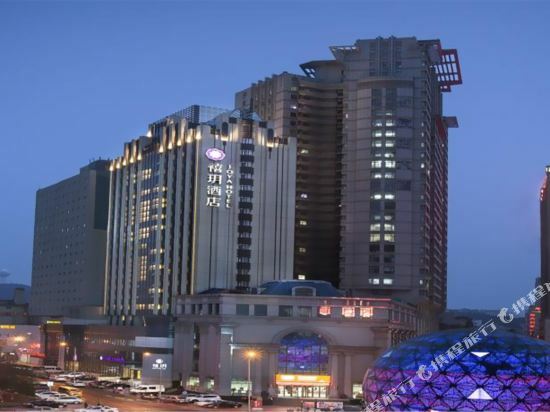 Dalian hotel information & deal: Check out room rates, photos, a map and reviews of hotels in Dalian and find the best deals on Dalian hotels. Trip.com offers big savings on online reservations for Dalian accommodation. Book Dalian vacation packages and Dalian tours with huge discounts on Trip.com!